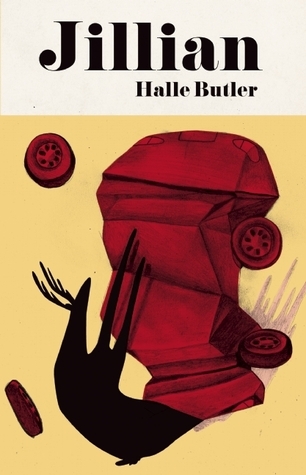 In her debut novel, Jillian, author Halle Butler charges into the territory of the perverse, the grotesque, and the downright ugly side of human nature that Henderson claims is essential to the verve and passion of great literary artworks. Butler’s characters are awful, hate-able, and sometimes sickeningly relatable, and this relatability is the true mark of intrigue for the novel. Jillian is told from the perspectives of Megan, Jillian, and once and while an oddball character like Crispy the dog. Megan and Jillian work together in a colonoscopy office – which is about the only thing they think they have in common. Megan is a 24-year-old sulking, borderline alcoholic who finds – not joy, but perhaps meaning (? ), fulfillment, (?) necessity (?) in criticizing and belittling others in her own mind. Jillian is her arch nemesis for no other reason than Jillian’s ignorance, annoyance to Megan, and her vastly different worldview. Jillian is a 35-year-old single mother who is the poster woman for self-help, mantra repeating, positivity in the most obnoxious way imaginable. At first the characters seem harmlessly broken, maybe slightly macabre; but, within a few pages, the true grotesqueness of their respective personalities is revealed. You gain insight into Megan’s intense jealousy – which is relatable in and of itself, but Megan’s approach to dealing with that jealousy is cringe worthy. She not only hates everyone who has anything that she doesn’t, but she goes out of her way to confirm her hatred by making fun of them and picking them apart to her boyfriend Randy. Unsurprisingly, Megan is also so terrified of herself and her own potential for failure, that she makes no attempt to better herself in anyway. Wallowing in the drudges of her own sea of self-pity, Megan’s stagnancy is poignant and if nothing else, motivating for readers to actively seek to be otherwise. Jillian, on the other hand, is constantly trailing off into fantasies of new dream jobs and illusory relationships, aptly able to irrationalize herself out of every serious situation in which she is put. Ignorance doesn’t even come close to summing up Jillian’s complete removal from, and disregard, for the real world. Her idiocy, lack of perspective, and overall hideously optimistic unrealism is enough to want to make the reader puke; and yet, there are moments of relatability with Jillian too. We’ve all tried to talk ourselves into feeling one way when we really feel another, we’ve all had experiences that we wish we could change, and we all know what it is to ignore the signs of catastrophe; though hopefully, we more tactfully deal with these issues. As we engage with these two women, we begin to see the similarities among their apparently vast differences. We see the common elements of human struggle, of human selfishness, of removal from and lack of acceptance of reality, of complacency and the different methods of dealing with the sometimes static condition of life. Raw, cutting, primeval and engaging in a terrifying way, Butler’s 150 page book will take you a few flicks of your wrist to get through. For however powerful it is though, thank god it’s so short, because it makes you feel like you’re locked in a damp cage, naked and caked with dirt, while everyone is looking at you as you struggle to breathe. Yes, exactly like that: a little bit the way life feels sometimes. Slated for release in February of 2015, you can pre-order Jillian at Curbside Splendor. Read more book reviews of small press published work at Centered on Books. Disclaimer: I received this book from Curbside Splendor for a fair and honest review of the text.